This mesh bags holds all of my delicates for laundering purposes. Washes well. Larger bag great for sweaters! Holds pacifier while in purse. Holds band aids. Holds small packages of disinfectant wipes. Hair pins and clips. Keeps bra's from getting tangled in wash machine. I have 2 of the small bags and they do not disappoint. I use them to wash my pantyhose in the washer. I put up to 3 pair and throw them in with a normal load. I have not experienced any runs or snags and it sure beats having to hand wash them. Good buy. I use this products to contain small clothing for the laundry such as socks, baby items, and singly, even bras. I give them as gifts. Wonderful item...now have lrg & sm bag...awesome! Awesome item...now bra's don't get tangled around clothes & ruined! I wash my lingerie and special blouses in these bags so they don't get snagged by other items. They are great. I gave one bag to my granddaughter for her nylons and she loves the bag too. I use the small size mesh bags to machine wash all my delicates, as well as washable slippers. The material is strong and they are the perfect size. I already have four of the small size, as well as one large size, which I sometimes use for machine washable sweaters or dressier, washable tops. I ordered two, so I will not need another for a long while. I bought the large one awhile back, thinking it looked like the one in the picture (it doesn't, which is why I gave it 3 stars). However in the description, it gives the actual dimensions ... says the large one is 28.5 inches LONG ... I hadn't looked at the measurements; I relied on the picture ... so when I got it it was HUGE. I could use that big of one so I gave it away. It was my fault for not looking, but just saying that the picture is very deceiving in terms of size. I inadvertently bought the large one which I love so much anyway. Now I need the small one to wash my delicates in the machine. Keeps them together and not tangled. Had one of these to launder intimates years ago. I need one now. Had to search my memory for where I bought it and Walter Drake popped right out. So glad I remembered! It will protect my delicate items! 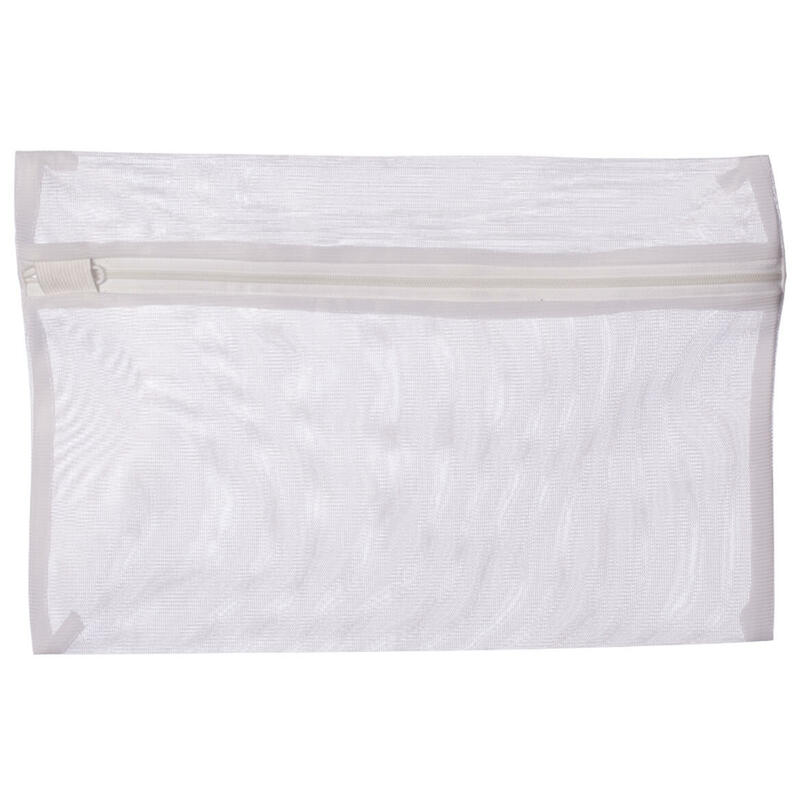 Have been using these mesh laundry bags from Walter Drake for years. They're super! I use these mesh laundry bags for my delicate clothes and it helps to make them look nice. Works well to protect my more delicate clothing in washer and dryer, from lingerie to delicate sweater tops. 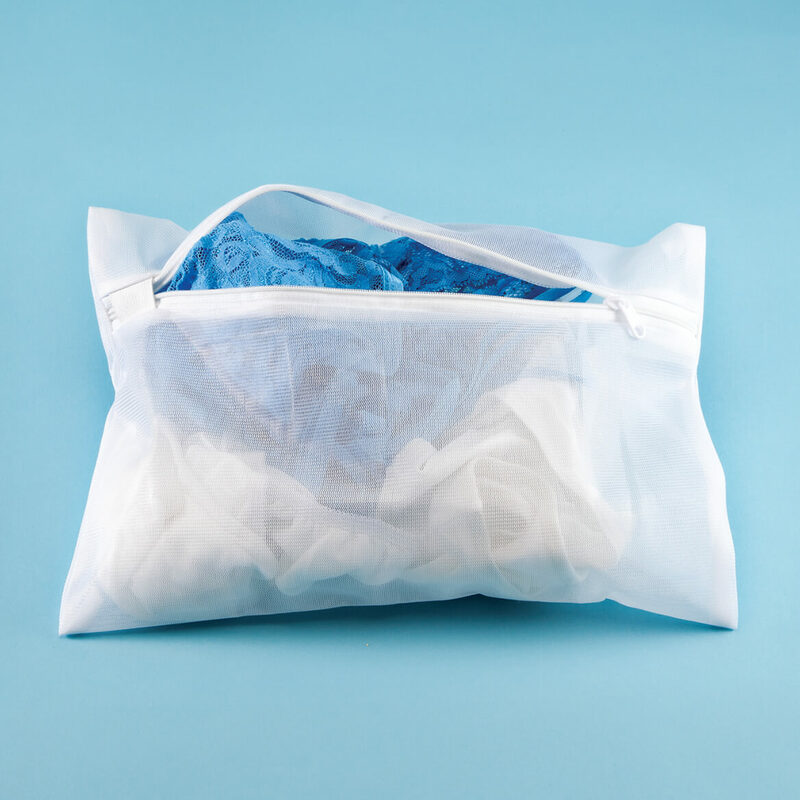 The mesh laundry bag is ideal for my delicate items bras etc. To replace an old one that wore out. Christmas stocking stuffers for daughter in laws. This bag is the perfect size and the zipper stays zipped. I have the large laundry bag for bigger items. I thought the smaller bags would be good for smaller items like hosiery, scarves, etc. Have purchased before. The mesh is high quality, and the best part, is that the zipper tab slides into a pocket so it doesn't snag other items in the wash.
To keep my nylons from catching in with my other clothing. Great for bras and delicates! It was too small for my purposes. These are great for your bras and just throw it in your washing machine in the mesh lingerie bag! - Deb M.
I need it to use in my washer. so I can ensure my socks stay in pairs thru the wash.
Can these bags bags go into the dryer? BEST ANSWER: Yes, I use them for socks and toss it into the dryer. In fact I have 2. One is for the cleans and one is for the dirties. I wash 2 pair at a time. I put mine in the dryer all the time . . . generally on a lower heat setting.